Hello — My name is Edna Lawrence, a legal requirement of my birthrights. My preferred name is Grandmother Edna. My passion is for the educational and social developments of all children, this is my life's service. I am a proud Descendent of the Bamileke people, from the highlands in Cameroon. My maternal grandmother was from the fifth generation and surely kidnapped into slavery. Beginning in 1995 with The Successful Black Women program, I pilgrimage in 2003 from Maryland to West Virginia, Virginia, North Carolina, and South Carolina, all the southern states researching and recording our rich slave history. My program became A Grandmother's Pilgrimage trying to re­educate our children and all cultures on the misunderstood history of our African People, lost as nation of kings and queens. So, my journey has led a grandmother Edna to networking throughout this country to uplift the academics and social esteem of a people anchored so far from our original homeland. From 1995 to the present this program has waded in the waters to leave no child left behind, as a community activist my passion will always be in the service to save the children our First fruit. I have tried to record some of my partners the list is very long. 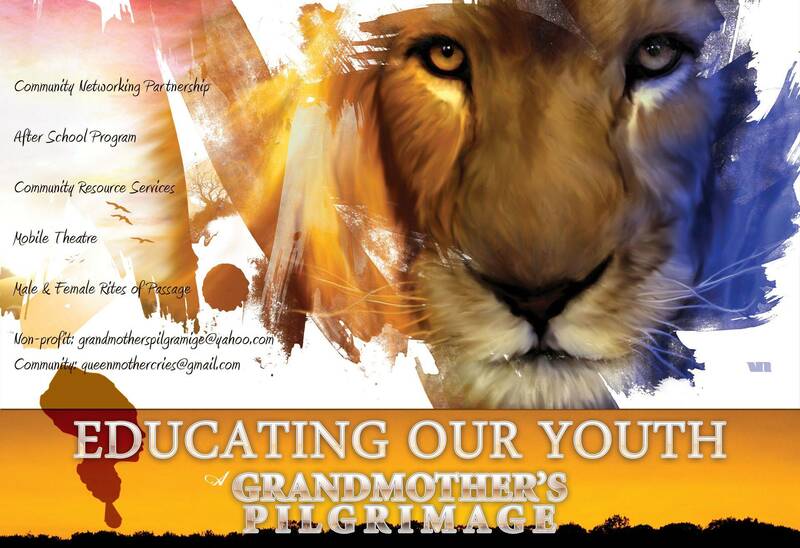 A Grandmother's Pilgrimage spearheaded networks and memberships with community organizations: Parents with Power, Family League of Baltimore City, The After School Institute (TASI), The Governor's Office for Youth and Children, Digit all Systems Technology Corporation, Nappee By Nature Salon and Spa (Summer Apprenticeship Program), Rites of Passage (Prince Georges County), the Baltimore Greater Black Chamber of Commerce, The University of Maryland Medical Center and School (Women's Health and Wellness Program, The Griots' Circle of Maryland Inc., Baltimore African American Historical and Genealogy Society (National and local), The Virginia Historical Society, Association For The Study of African American Life and History, Inc. ASALAH), I Can't We Can Inc., The Baltimore City Public School Systems, Enoch Pratt Free Libraries, The Baltimore County Free Public Libraries, (initiating partnership with) Association of Storytellers, Wide Angle community Media, Inc Thurgood Marshall Middle School Parent Teachers Association (Vice President of PTA), On Our Shoulders, Reclaiming Our Youth and Children Project, Build, Reaching the Unreachable Outreach Ministry, First John Tabernacle Church, Upon This Rock Church, The Hyde Park Islamic Community, Masjid Khalifah, Empower Parent of Park Heights, World Famous Lexington Maitet (provided Black History Month Presentations, hosted Mayor Shelia Dixon and approximately 700 visitors), Hope Health Systems (Therapeutic Counseling for The Department of Juvenile Services), To Impress U Hair Salon, and Numerous other Baltimore community organizations. To pass my historical, oral storytelling journey back to a society that only supports African Americans one month per year (Black History Month). I have promoted 365 days of educational historical experiences. I am a respected storyteller, our community must embrace the old tradition it takes a village to raise a child". Before any written word or records, there were the Griot (storytellers), orally recording history to be passed from generations to generations. In closing, I leave this message of encouragement. Some people invent their visions; some people borrow their visions, and then you have the storytellers, who are their visions."